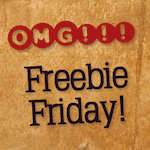 Freebie Friday “Year-End Flicks” Edition: Win a Free Redbox Gift Card! Crazy as it seems, we’re entering the last month of the year this weekend. There are some fun movies coming out before the year ends. Let’s talk about which ones we’ll be seeing! What movies do you plan on seeing between now and the end of the year? Here are a few of the upcoming December flicks to get you started: Aquaman, Bumblebee, Mary Poppins Returns, Spider-Man: Into the Spider-Verse, Holmes and Watson, Welcome to Marwen, Mowgli: Legend of the Jungle, The Mule, Vice and Roma. I typically spend most of my December leisure time writing, rehearsing and recording music but I will most assuredly watch A Christmas Carol on Christmas Eve. I haven’t missed that tradition in at least 20 years. If a movie happens to catch my interest and I need a couple hours off, I will stream it or rent the dvd though. The movie theatre won’t see me until February. Welcome to Marwen looks intriguing. I plan to rent Crazy Rich Asians from Redbox soon!